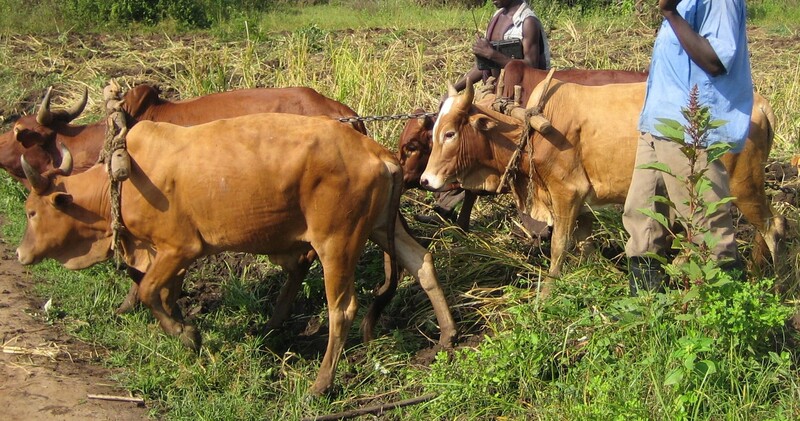 Mobile market information systems for farmers: demand- or offer-driven? Market information systems (MIS) have become a very hot topic in development circles, with a wealth of private and public initiatives to bring market prices to farmers in developing regions via mobile phones. I am very intrigued and very curious about them, partly because in my fieldwork with smallhold farmers in rural China I have never encountered anyone using MIS, nor I have really seen a reason for anyone to use them, since prices are widely known, and markets are (or aren’t) accessible for reasons that go well beyond prices. China might be an unusual case, because of its recent history and because of the government’s heavy involvement in agriculture, but still, I did wonder how such systems would be deployed in other countries, what needs they fulfilled, and how they were taken up by farmers. So it was with great interest that I recently attended (at 6am!) a webinar organized by GSMA – Mobile for Development (GSMA is the global association of mobile phones operators) titled “Mobile Market Information Systems for Farmers: Requirements for Success.” It was a very useful introduction to the state of MIS in a number of African countries, and, as all good presentations, it raised more questions than it answered. The slides used for the webinar are posted on the GSMA website, but here are some of the highlights from my notes. What exactly are MIS? John Zoltner, director of the Information Technology Applications department at the non-profit organization fhi360, defines them as tools to “increase market transparency to increase revenue for smallholder farmers, lower transaction costs for traders, lower cost of goods for consumers.” The added bonus, especially in countries without efficient data gathering processes, is that it “allows governments to track trends in availability of food commodities to create policies or react to shortages.” (see Zoltner’s slides). Transparency of markets was a common theme, explicitly or implicitly, in all the presentations: the starting point of all these projects is that smallhold farmers often do not have access to information that could help them decide what to grow, where to sell, and whether the price they are getting for their crop is fair or not. And who wouldn’t want more transparent markets? In many countries, agriculture is still the most important economic sector, and any improvement in this field results in improvements in the quality of life of many people. Early efforts to improve agricultural markets through technology were based on radio, faxes, and email. Current MIS are based on a mix of web platforms and mobile phones, which can provide more timely and sophisticated data and analysis, as well as personalized information. Pilot deployments of MIS are taking places in several countries. For example, Robert Turner from ACDI/VOCA Malawi presented the case study of Esoko Malawi, a private-public partnership started in 2011 with USAid funding. ACDI purchased the Esoko web SMS platform, which provides both the technology and the methodology to run a MIS. ACDI/VOCA targeted smallholders, and selected 13 markets that are important production areas in Malawi. By the end of 2011, about 4,000 farmers were receiving prices of staple crops (ground nuts, maize, beans, important because the project focused primarily on food security). The mechanics of how Esoko works are very interesting: ACDI/VOCA started by gathering information about local units of measure used at each market, the converted them to prices per kilogram. Enumerators collect prices from multiple vendors (at least five in each market) and then use the most quoted price as the price of reference to upload to a web platform via mobile phone. After the prices are uploaded, an administrator looks at them to check for outliers or anything that looks unusual. If everything seems in order, the screen is approved and prices are sent out to subscribers; if there are questions, enumerators are contacted, and if their answers don’t clarify the situation, there are key informants who can double check what is going on in each market. Assessing the impact of MIS is not easy. Turner recognized that the commercial value of the information they were gathering through Esoko was not clear, and that it was hard to predict whether such systems would be sustainable. Given the cost of running MIS (which vary considerably depending on the type of information, languages used, etc; we heard figures from US $30,000 to 70,000, although it was not clear whether these were running costs, set-up costs, or how they were divided between technology and administration costs, etc), they would have to reach an enormous number of subscribers, each paying very small amounts, to make the service viable. Andrew Kizito, a professor at Makerere University in Uganda, discussed the impact of MIS in Mozambique, pointing out that there are several factors that influence whether people receive market information and how actionable such information is: owning a radio or having a cell phone network in the village are clearly necessary ‘infrastructural’ steps to receiving prices, and having access to roads with public transport is necessary to make such information actionable. He found that receiving market information prices had a positive impact on market participation and on the prices farmers got at the market, but his recommendations focused on targeting farmers associations, NGOs, and government officers (all ‘middlemen’) as clients for MIS, rather than individual farmers. Shaun Ferris of Catholic Relief Services talked about the requisites needed for a successful MIS: it has to be valued by the targeted audience, needs to be well promoted so people understand it and know how to get value from it, can easily scale, and provides a multi-channel approach that is easily up-gradable. Two points that were raised over and over were that marketing of MIS is not only about letting users know about them, but also educating them on how to get value from the information they receive; and that MIS should be part of a bundle of services, that might include weather information, market intelligence, agricultural advice, etc. And here is my main question about MIS: prices are relatively easy to gather and to process with existing interfaces. Other information, such as localized weather forecast, or brokerage services, are much more complicated to set up if there isn’t already some kind of infrastructure in place. And yet, what if this is the information that farmers really need, rather than prices? What if in the bundle of services, prices are in fact the least important one? In China, farmers know about prices. What they pay for is a daily SMS with localized weather forecast, which is something that they can act upon immediately. So far, MIS seem very much offer-driven, rather than demand-driven. The presenters didn’t mention farmers’ needs, or even farmers’ lives and practices in a contextualized way. Do traders provide farmers with credit, for example, like fish traders in Uganda? What kind of regulations or state interventions exist in the various countries, that influence farmers, fishermen, traders behaviors? In China, the government sets minimum procurement prices for certain crops. These prices are widely known (through tv, radio, newspapers, word-of-mouth, agricultural extension workers, traders, markets, and – last and least, for farmers anyway – websites), and many farmers prefer to grow crops with a lower but safe income that is guaranteed by the state to those that could give them potentially higher, but certainly riskier, returns. At the end of his presentation on Malawi, Turner mentioned that the government sets prices for certain crops in part to protect from exploitation farmers who wouldn’t know what is a fair price for their crop. He went on to suggest that it might be cheaper for the government to support MIS so that farmers are aware of the going prices, rather than setting prices centrally. But doesn’t this mean that the government switches its indirect support from farmers to Esoko, enumerators, NGOs and all the ‘middlemen’ involved in creating and supporting MIS?